Halibut, sole and other flatfish are household names around the world. 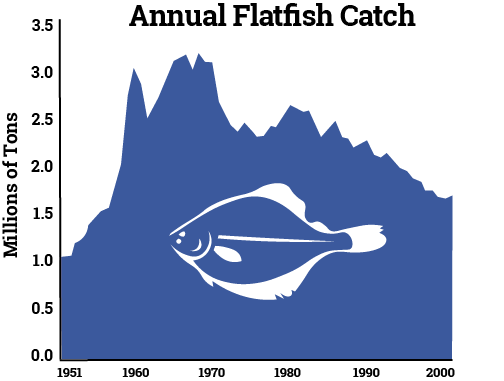 Annual global catches of these flatfish have dropped from three million tons in the 1970’s to two million tons in the 2000s, mainly due to overfishing and management interventions. But fishing isn’t the only threat. In a paper published in early July, Nereus Science Director Dr. William Cheung and PhD Fellow Dr. Muhammed Oyinlola found that climate change will drastically reduce flatfish numbers and alter species distributions by hundreds of kilometers by the end of the century. 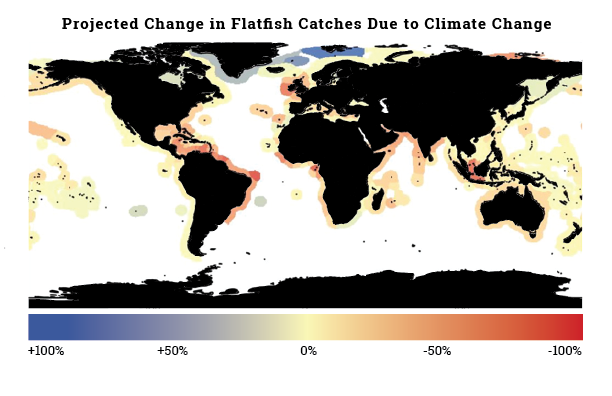 By using an algorithm that applies a new concept called “fuzzy logic”, Cheung and Oyinlola explored the potential impacts that climate change could have on this already vulnerable global fishery. Unlike more stringent, traditional models, the fuzzy logic model acts more like a person than an algorithm. “Imagine going to see a doctor when you are unwell,” explained Cheung. “For example, if you have a temperature and a runny nose, he or she will say you have the flu or perhaps an infection. Those diagnoses are based on experience as well as prior knowledge. Neither the diagnosis or the variables are exact,” he said. As fish seek refuge in the poles, aquaculture has been put forth as a possible supplement for lost catch. 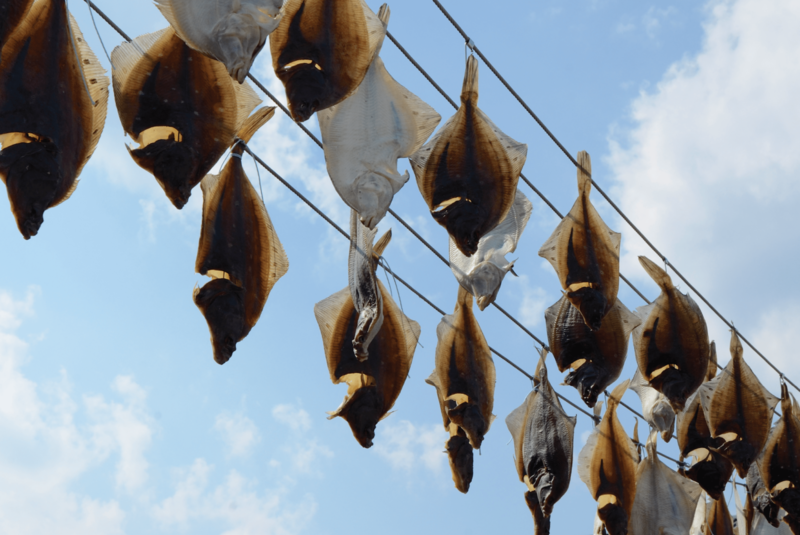 But even these more controlled fisheries practices aren’t safe from climate change. “Most flatfish aquaculture occurs in net-cages, so those fish are still susceptible to changes in their natural environment. If ocean conditions change, the habitats for flatfish aquaculture will also be affected. Additionally, diseases such as Vibrio, which thrive in warmer waters, will become more common as ocean temperatures increase.” On top of the risk of disease, fish don’t grow as large at high temperatures, which could lead to additional losses for the aquaculture industry.